BEIRUT, LEBANON (10:45 A.M.) – The Saudi Coalition has accused the Islamic Republican of Iran of supplying the Al-Qaeda terrorist group with weapons in Yemen. According to a statement on Monday, the Saudi Coalition said that their allied fighters found Iranian-made weapons in the recently captured areas in southern Yemen. 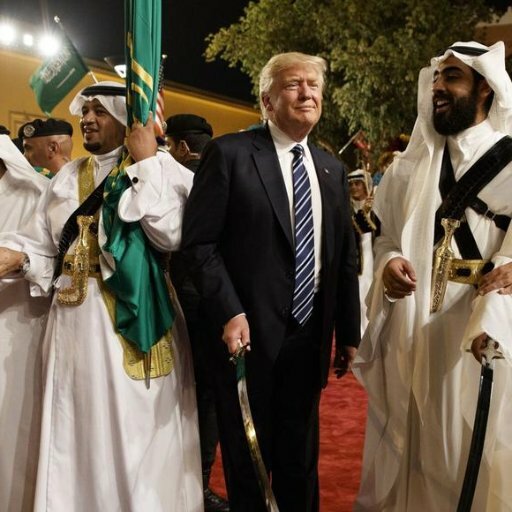 These accusations by the Saudi Coalition come just days after a CNN report alleged that the latter had supplied arms to Al-Qaeda inside of the country. While it is not clear if Iran, in fact, supplied Al-Qaeda with weapons in Yemen, but the latter has been fighting the anti-government Houthi forces (var. Ansarallah Movement) inside the Al-Bayda Governorate recently. In addition to fighting the Houthi forces, Al-Qaeda of the Arabian Peninsula has also clashed with the Islamic State (ISIS/ISIL/IS/Daesh) terrorist group inside of Al-Bayda. If Iranian weapons were found in Al-Qaeda’s arsenal in Yemen, they could have been seized from the Houthi forces, who the Saudi Coalition alleges is currently being armed by Iran. No no saudi Arabia is wahabi sunni like Al Qaida isis iS sunni Wahabi like al qaida all of them are darkkkk skinned sunni arab Terrorists supported by usa israel saudi arabia..iran never supports its own enemies..
Houthis rebels ambushing Saudi military foot patrol with IED near Qais mountain in the Jizan province of southern Saudi Arabia, some saudis soldiers killed. Death to the Sunni Islam. Long life and Victory for the Rejectionnists. That is a bit like the stove calling the kettle black isn’t it. Saudi Arabia supply weapons to ISIS /Al Qaeda in Syria then blame Iran for some that “They” !! say they found in Yemen.. The moon is made of cheese and Jesus is going to walk on water again. Better fix the holes in the story / feet first or they will both sink. It was Saudi pilots then Afghani then Iraqi then Syrian now you say Iranian. Guess those Israylees sure know how to cover their tracks.